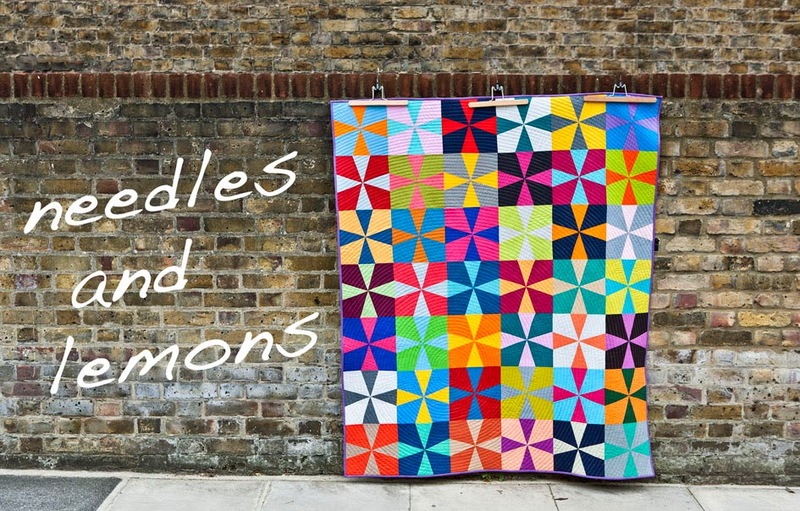 This is definitional the last quilt I finish before Christmas but not the last one this year as I still have to make a small one for my new god-daughter Anya who I will be seeing just after Christmas. 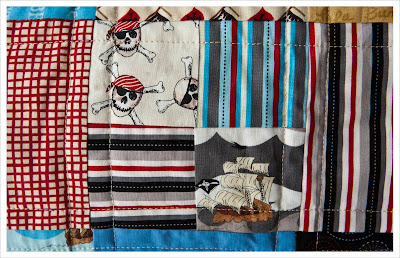 For now I wish you all a very merry Christmas and say goodbye until next week with some images of my finished "Pirates, Doges and Bones"quilt that I made for the most important little man in my world; my nephew and godson Hauke. 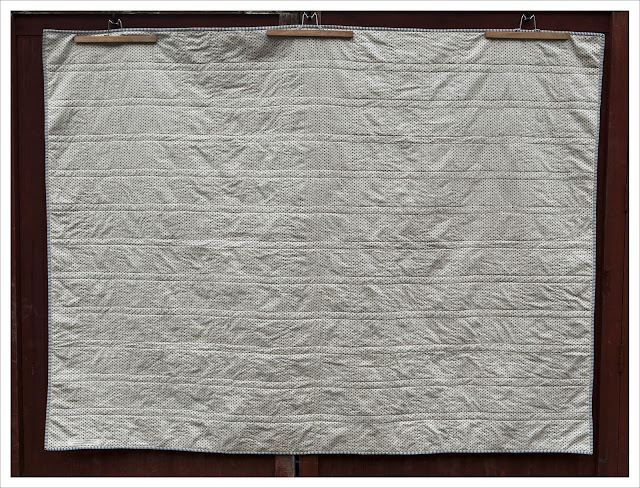 The front of the quilt is made of 192 5 inch squares measuring in total about 60 x 80 inches (2 x 1.5 m). I used fabric from my stash including the specifically purchased pirate themed fabric by Emily Taylor Pirate and Alexander Henry 'Bizness Pirate. I also added quite a few Timeless Treasure 'Dogs' and replaced the amount of sculls with cute little dogs and bones thereby a bit. After all I don't want Hauke to have nightmares. I also kept two of the prints that have such wonderful detail as plam trees, boats and maps on them as large pieces because fussy cutting wouldn't have worked here. 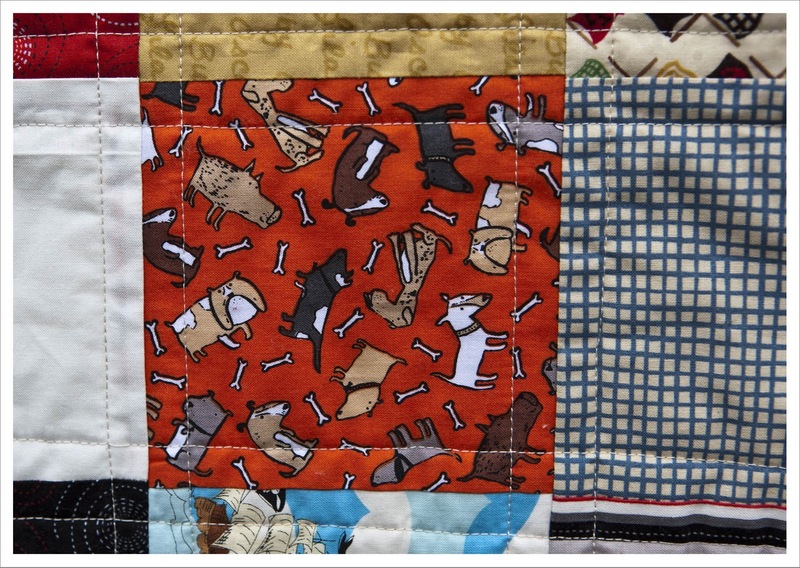 I also hope it adds a kind of "I spy" effect to the quilt top. I kept the quilting simple in straight lines along the seam lines which I must confess is one of my favourite straight line quilting "patterns" - simple yet so beautiful. 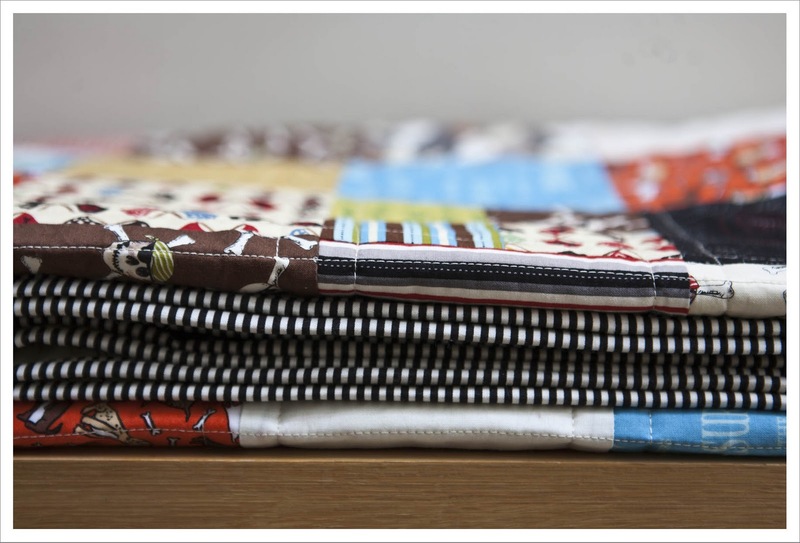 I used a lovely stripy number again for the binding to give the quilt a little bit of a kick. 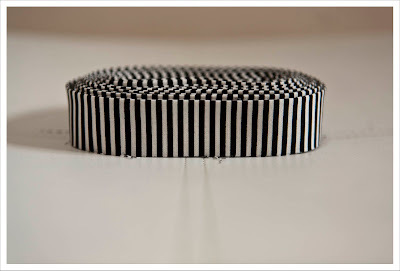 The stripes are from the Lecien basics collections and were also bought at Tikki. I love the black and white contrast. 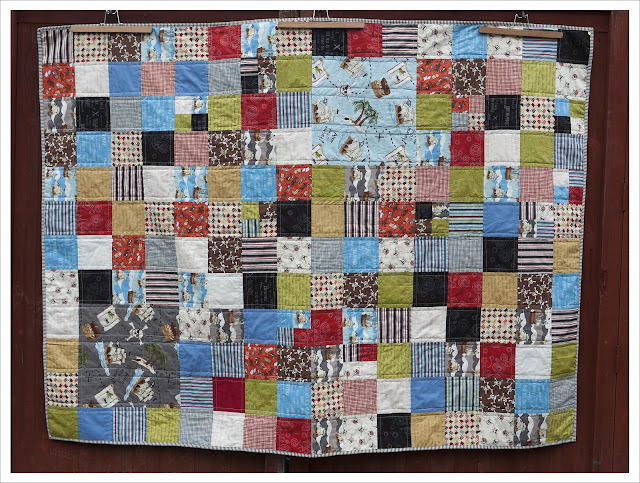 I really really love this quilt and hope my nephew will enjoy it for many years to come. I wish you all lots of food, lots of help with the washing up; hopefully some breathing space in between and as few quarrels as possible (let's face it x-mas never passes without them entirely) over the festive days. See you all after Christmas ! 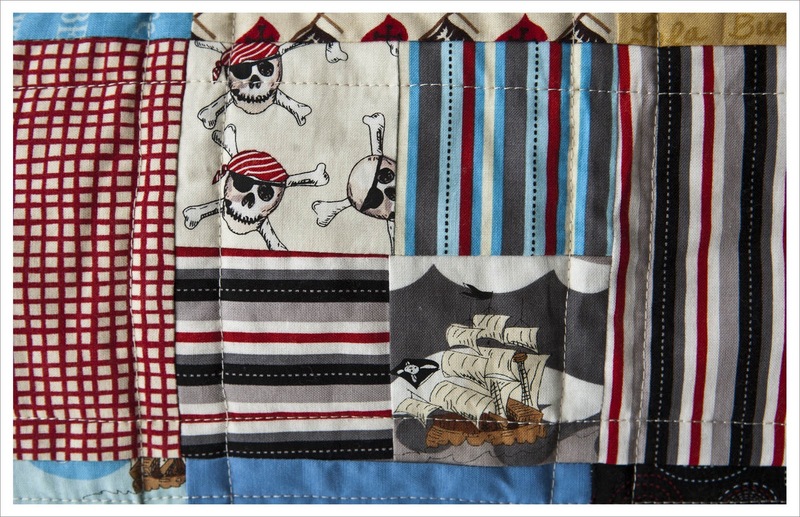 Love the pirate quilt, I'm sure the very handsome Hauke will love it! 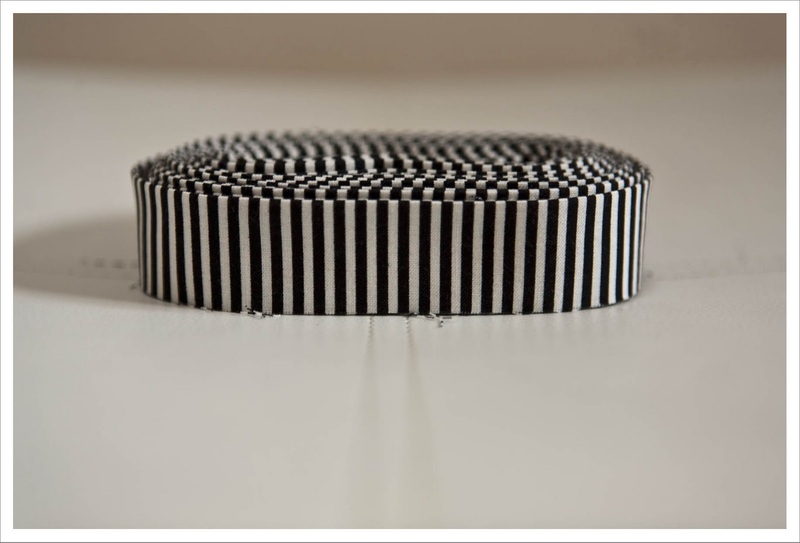 (Really, really love the stripy binding!!) Have a great Christmas! 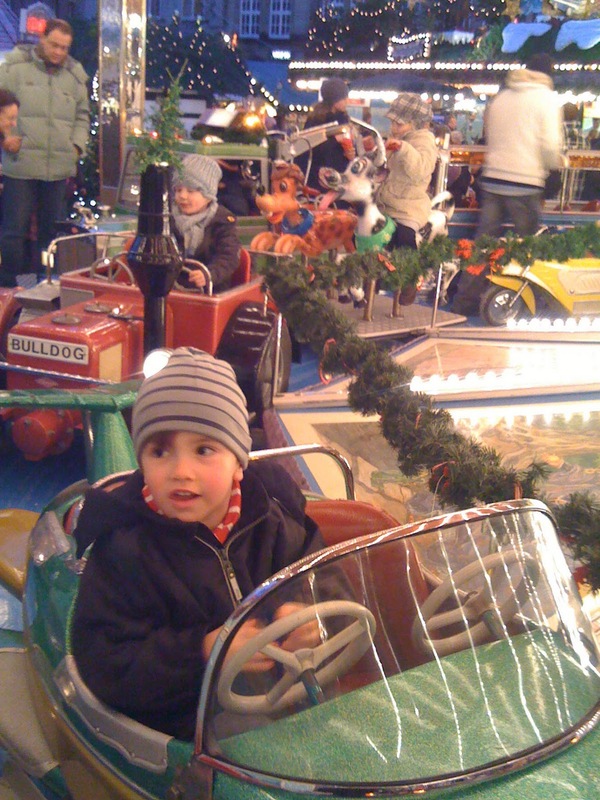 Very, very cute, and yes, I think he will enjoy it for sure! 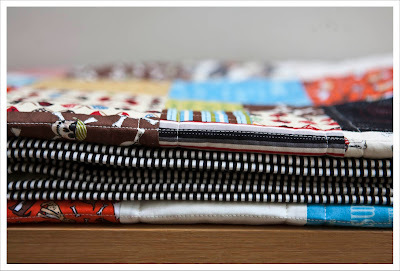 The black stripes really knock my socks off with this quilt---adore it!! Your nephew will get a great deal of joy from his quilt, I am sure! Merry Christmas! 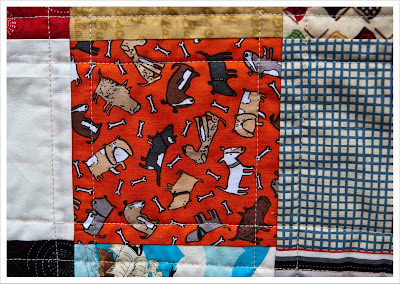 Heartily great quilt which will be appreciated by blackbeard and all his mates I'm sure! Ho, Ho! 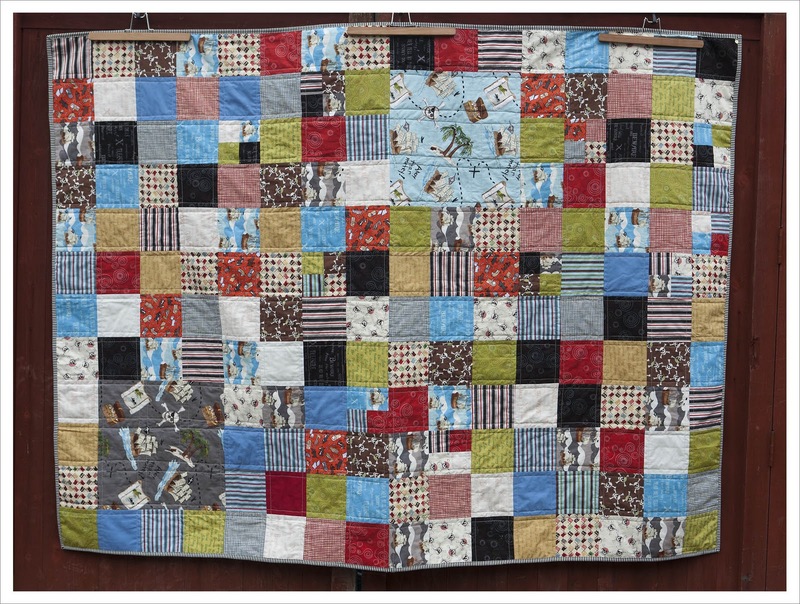 What a great quilt. 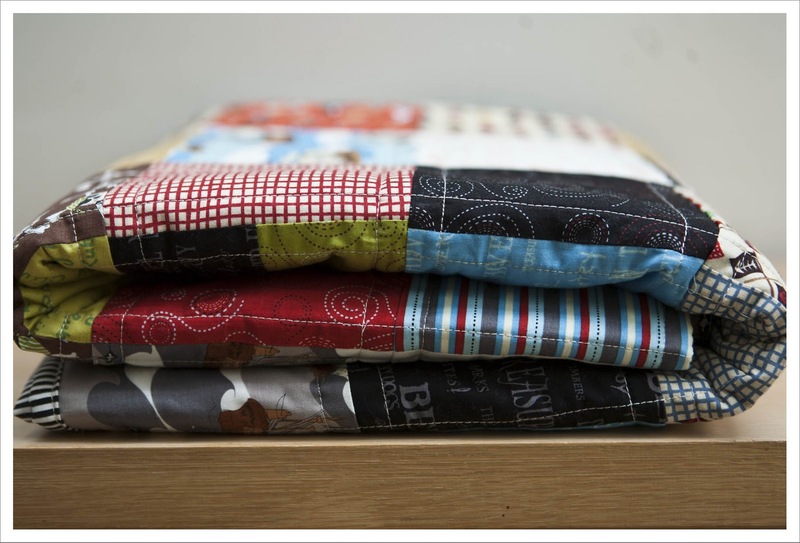 No doubt your charming nephew will love snuggling under his quilt. Have a great Christmas in Germany.